I know you all love a bit of detective work, so can you help with this?? I found these pics on the interweb a while back now and I can’t actually remember where I found them. 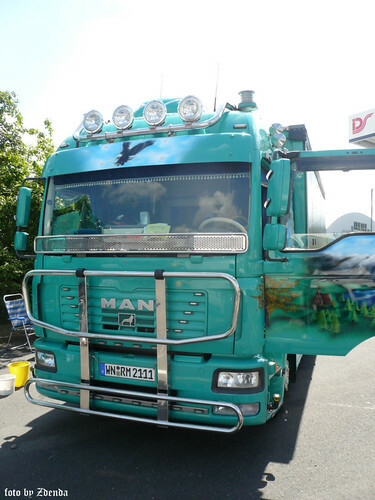 I do seem to remember they were taken at the Geiselwind Truckerfest in Germany a few years ago, perhaps even 2009. For obvious reason I would like to trace the owner so I can do a bit of a follow up. 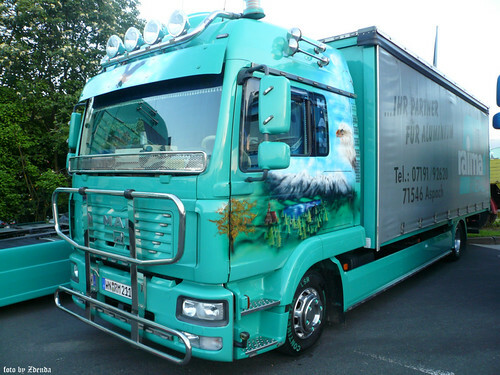 I have to say in all my MAN TGL perving I have only ever seen these 4 pics of this truck. Not sure if that’s good or bad, hopefully its still on the road. So I need my detective bloggers to see what you can find out, I feel that the lucky driver of this TGL may be entitled to an “On the House” TB sticker! Not sure the colour is quite my cup of tea, but i’m loving the heavy customisation and all the lights, probably looks pretty as a picture at night (or a christmas tree!). The interiour looks like it has been properly retrimmed, again a first in a TGL from my memory banks. 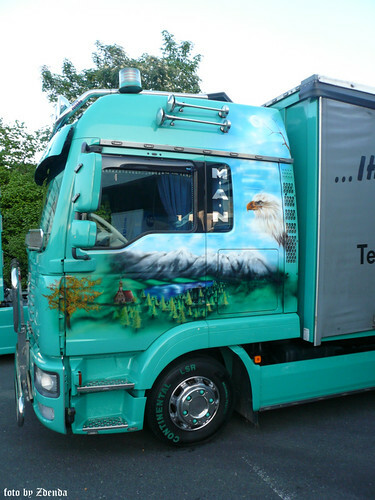 Get searching bloggers and let me know what you find, email me; ben@truckblog.co.uk or leave a comment with your findings. Oh and thanks to Zdenda, who ever you are for the load of the pics! 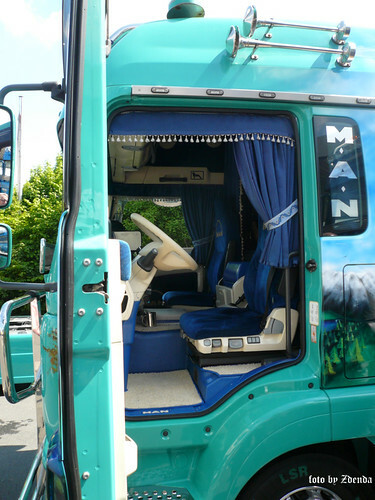 This entry was posted in Drivers Photos, International Mega Trucking, MAN, Truck Detective by truckbloguk. Bookmark the permalink.